Brazilian musician and composer Alec Mendonca returns with his second N.O.W. project, for Escape Music, Bohemian Kingdom. For this recording he welcomes two new musicians to the core band: guitar player Juno Moraes and drummer Diogo Macedo. Something that does not change is that Mendonca and N.O.W. remain rooted in classic AOR melodic hard rock. Some songs like the title track, I Feel Divine or Strong Enough have a heavier, even metal feel at times. Nevertheless, Mendonca never strays too far from that AOR wrapper as Don't Go Now, Tonight is the Night, or Cassie's Dream prove. There's even some saxophone flair in Mary-Ann and the previously mentioned Tonight is the Night (with a timbre akin to Quarterflash's Harden My Heart). The aforementioned edginess to the tunes may come from an emotional current from Mendonca in the songwriting. Prior to recording Bohemian Kingdom, he lost a young friend to leukemia. Mendonca has struggled to understand the man's death and his own emotions regarding the loss. The closing song No One Can Feel It's Over is his attempt to put his feelings into words. From the arrangement to the lyrics, the song drips with emotion; I think Mendonca has accomplished his goal. The album as a whole is another fine accomplishment for him and his players. Recommended. 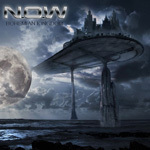 N.O.W., the project of musician and composer Alec Mendonca, strikes back with Bohemian Kingdom, another fine platter traditional AOR-drive melodic hard rock, with a surprising emotional side.